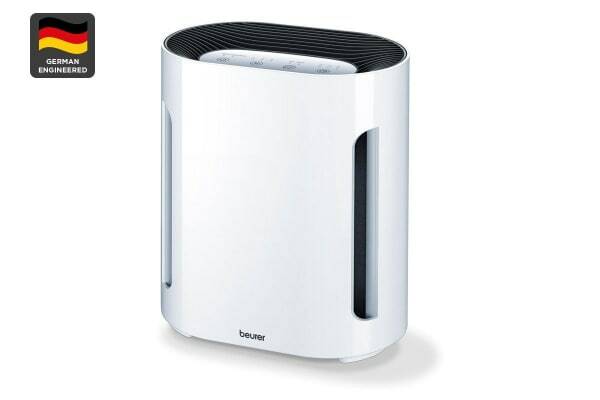 Filter domestic dust, animal hairs, smells, mites, pollen, harmful gases, various bacteria & viruses out of the air using the Beurer Triple Filter Air Purifier (LR200). This multi-layer system is complemented by an additional air cleaning technology using activated Ion Technology to combat tiny germ particles in the air. 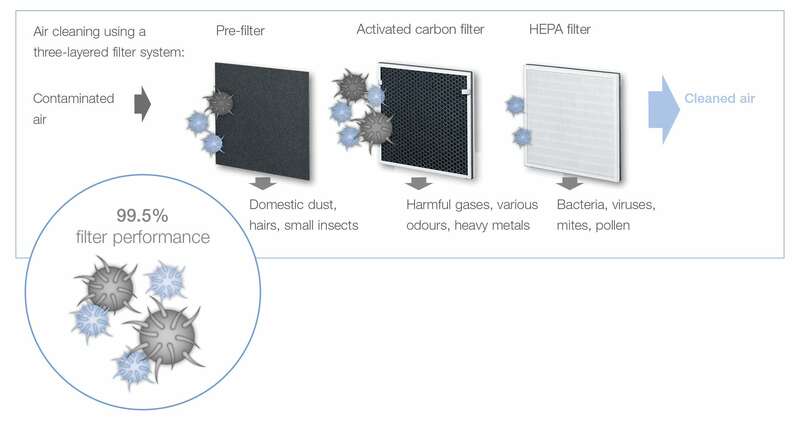 The HEPA Class 12 standards deliver outstanding performance by filtering out 99.5% of unhealthy particles in the air. 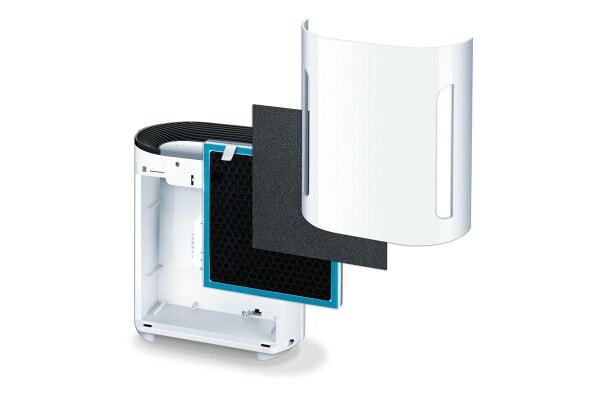 The Triple Layer Pre Filter traps domestic dust, hairs and small insects, the Activated Carbon Filter traps harmful gases, various odours and heavy metals, while the HEPA Filter eliminates bacteria, viruses, mites and pollen. Other features include three in-built fan speeds, timer function, night mode for quiet and dimmed operation at night, and a capacity to perform in rooms up to 15m². With a sleek, modern design and illuminated built in panel, the LR200 is a modern addition to any room. It’s silent operation ensures that you and your loved ones are protected against hay fever, other allergic reactions and harmful pollutants. 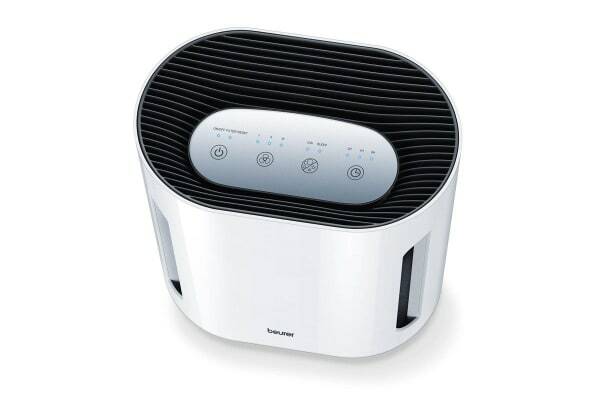 Micro bacterial germs are no more with the Beurer LR200’s ION function. Ionic filtering is effective at removing the smallest of particles (as small as 0.01 microns!). The ion filter naturally attracts airborne dust and allergens that would otherwise linger in your household and makes them sterile. With no motor or fan, the ION function is super quiet while super effective at dealing with bacteria, smoke, and other unwanted fumes.